The Center for Scientific and Technological Equipments Walailak University. 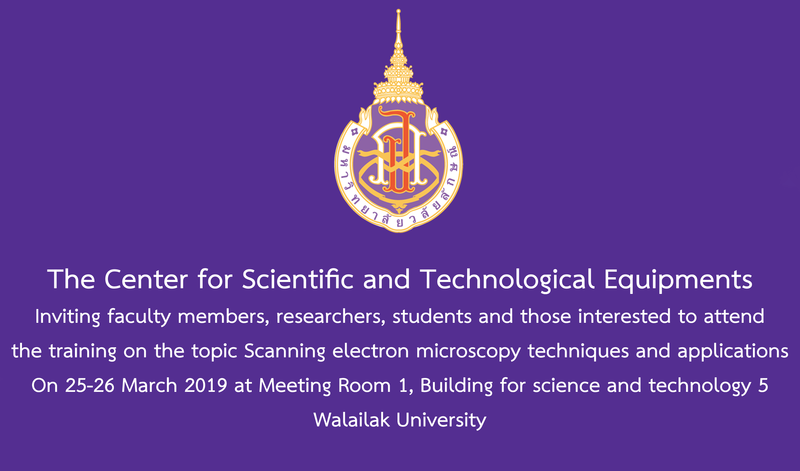 Inviting faculty members, researchers, students and those interested to attend the training on the topic Scanning electron microscopy techniques and their applications on 25 – 26 March 2019 at Meeting Room 1, Building for science and technology 5, Walailak University. Receive a limited number of 50 people within 15 March 2019. For more information, please contact Mrs.Benjaporn Somchit tel. 075-673232. 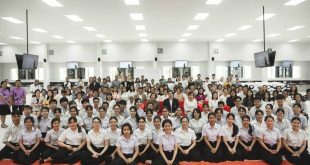 Previous The Center for Scientific and Technological Equipments Walailak University together with Color Global Co., Ltd. Training on color theory and color changes from the environment on January 16, 2019.